There are few, if any, who would dispute the fact that radicalisation of young people is a form of abuse. But those who work in safeguarding could be tackling this more effectively by recognising a disturbing but overlooked facet of this challenging issue. Is radicalisation as defined in the Prevent Duty actually contradictory to or against safeguarding? Instead of safeguarding students, might we perhaps be creating an environment where young people are reluctant to ask challenging questions for fear of being suspected of being a threat to the state? Or indeed, is radicalisation an issue which includes but also goes beyond the current safeguarding approach? My answer to the first question is Yes If. Why Yes If? The skills and experience of those in the safeguarding sector are fantastic but we need to push the boundaries of our knowledge and be alert to new and different influencers. What I contend is that a change is needed to the accepted premise that radicalisation to violent extremism is purely another safeguarding issue, albeit of significant proportion. Of course, there are many similarities, and particularly with grooming for sexual exploitation, but the Government is nave by putting it into the same bracket and wrong to assume radicalisation can be responded to effectively using the same methods. There is another form of abuse that has been little discussed as part of the Prevent agenda but I believe it is time to shine a light on the striking similarity of radicalisation tocultic abuse. Radicalisation is more closely aligned with this form of abuse than any other. As such I feel it is imperative that the profession learn more about it to better inform our safeguarding processes. The Governments Prevent Duty Guidance clearly places preventing radicalisation within safeguarding, and with my experience of supporting schools, colleges and universities with their understanding of, and compliance with the Duty, its clear the education sector rightly sees it as part of its responsibilities. But we run the risk of being accused of complacency if we believe the issue of cultic abuse will slot into existing practice as is expected with other emerging safeguarding problems such as female genital mutilation (FGM) and spirit abuse -?where an abuser believes someone to be demonically possessed. With any new element adding to the radicalisation mix, it is crucial training is available for the professionals, including identification of signs and indicators of that specific type of abuse. Child sexual exploitation is a hidden crime. Young people often trust their abuser and don’t understand that they’re being abused. They may depend on their abuser or be too scared to tell anyone what’s happening. This is where the commonalities with radicalisation lay. In the early stages of CSE grooming, the young person will not self-identify as a victim and will likely strongly dispute this proposition if it is put to them. However, when the relationship later becomes abusive and violent, they will begin to recognise that what is happening to them is not what they wanted or assumed would be the outcome of the relationship. By then their ability to escape may well be severely limited but, at some point, they will identify as a victim of abuse. My answer to the second question – is radicalisation, or Prevent, a process/duty which is contrary to the ethos of safeguarding – is no. There has been much rhetoric and ill-informed comment around the Prevent Duty including claims that it is divisive, involves subversive monitoring of particular groups (Muslims, non-English speakers, migrants etc etc). But the real danger here is the potential loss of the trusting relationship, so essential for safeguarding, which is at risk of being destroyed if instances of clumsy and misinformed practice continue. I am referring here to incidents of reporting children to the authorities over concerns, for example, for a pupils misspelling of terraced to describe his house and using terrorist instead, or the use of the term eco-terrorist in a French lesson. These and other similar examples of disproportionate and sometimes clumsy responses to innocent comments or actions are not only unhelpful in the pursuit of the Prevent Dutys aims but could be badly counter-productive by creating an atmosphere of mistrust and division. I believe this is a reflection of the lack of confidence by professionals trying to manage these situations rather than any intention to do anything other than provide support. And to the third question. Yes, I do believe that the current approach to identifying and providing protection from radicalisation is beyond our existing understanding of safeguarding. Cultic abuse has had only marginal attention in the whole issue of radicalisation, and the requisite knowledge and experience in the safeguarding profession is patchy, where it exists at all. From research undertaken with Islamic State Defectors, Peter Neumann (the International Centre For The Study of Radicalisation and Political Violence: Victims, Perpetrators, Assets: the Narratives of Islamic State Defectors) acknowledges the process of radicalisation and/or recruitment is complex and multi-faceted and consists of a variety of factors and influences such as grievance, beliefs, social dynamics and even chance. Jason Burke of the Guardian reported on a young woman, Maysa, from Brussels, who had experienced radicalisation. Maysas mother speaks of her daughter being brainwashed by extremists and Maysa herself reflects that, I was totally radicalised. I was not thinking my own thoughts. I was not who I am. Brainwashing within this context sits well with my understanding of the process of radicalisation and the outcome of terrorist actions. From what we hear of known recent terrorists such as Isa Ibrahim, Nicky Reilly and Muhammed Emwazi, one thing they had in common is that the people they became bore no similarity to the people they once were. They all changed beyond recognition and undertook acts which would have seemed totally alien to their former selves. It would be naive to see this as a simple change of mind following some discussions on the internet! I believe this is as a result of the complex process identified as cultic abuse. “the systematic and sustained application of an array of recognised techniques for psychological manipulation without the knowledge or informed consent of the victim (aka brainwashing), in order to effect a breach of a persons psychological, emotional, intellectual and social integrity for the purposes of abuse, exploitation, slavery and/or pecuniary gain, and to so inhibit their critical faculties that they do not recognise their own predicament so that they may act in ways harmful to their best interests on instruction, by command or by neglect. However, very little reference is made to terrorist groups as cults and therefore the consideration of radicalisation as cultic abuse is rare. Reference is made in the Counter Extremism Strategy and the Prevent Strategy to the relationship of cults to terrorist organisations but this is something that should be explored further in order to improve our understanding of the practice of cultic abuse as radicalisation. When we hear about acts of terror committed by people in the name of any ideology, it is difficult to see the perpetrator as a possible victim of abuse. The notion of a victim being at the centre of cultic abuse is tricky when the person involved would not self-identify as a victim. What they see themselves doing is admirable, important, worthy and certainly not something they need protecting from. We are, however, charged with compliance with the Prevent Duty and as such from doing everything we can to prevent radicalisation and ultimately people from going on to commit acts of terror. From my experience of supporting professionals within the education sector, I have heard first-hand an overwhelming plea for help in improving understanding and increasing confidence in their abilities to identify and prevent young people from being radicalised. Prevention has to come much sooner in the process and, as many professionals agree, this is found in education of peace, community cohesion, diversity, and critical thinking. Action is needed now to also promote a wider awareness and understanding of cultic abuse to enable the safeguarding profession to recalibrate its efforts to tackle radicalisation. Abigail Clay is a nationally respected expert in Safeguarding and the Governments Prevent strategy. 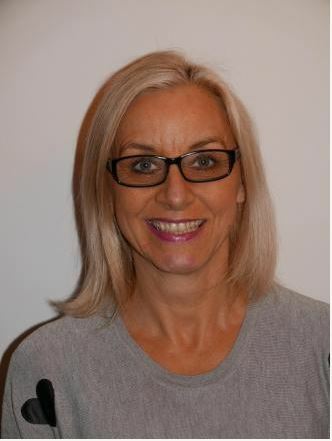 A consultant, trainer and speaker, she has more than 30 years experience within the school/ FE/HE sector, much of it gained in Bradford and Leeds, and is a Fellow of the Higher Education Academy.